Since the hybrid i8’s debut earlier this year, BMW has been selling them faster than its assembly lines can put them together. In fact, the sports car has been so popular that the German brand has considered scaling back i3 production to decrease wait time. As it stands, it can take up to a year and a half to get an i8 in some markets, but BMW is looking to further cash in on the sporty plug-in’s popularity. The U.K.’s Car Magazine has all but confirmed a hybrid supercar loosely based on the i8, which may be called the i8S. Currently known as project M100 inside Munich, the mid-engine coupe is currently being tested with two different drivetrains. The first is a 320-horsepower 2.0-liter gas unit that bolts up to a front-mounted 204-hp electric motor. That brings 524 hp and all-wheel drive to the party, although the second option may be a little more enticing. Also up for discussion is a beefier six-cylinder block that, according to sources, provides around 480 hp to the rear wheels. A smaller 109-hp electric powerplant is used up front for the sake of usability, delivering a total output of approximately 589 hp. It will be interesting to see whether or not BMW employs the more equal distributed of the first option or the torquey inline six. Either way, reports indicate the i8S should accomplish 0 to 60 mph in just 3.5 seconds, which is almost a full tick quicker than the standard i8. Due out in 2016, the new plug-in will celebrate the manufacturer’s 100th birthday. It could also be a capstone on company CEO Norbert Reithofer’s career, who may retire by 2017. 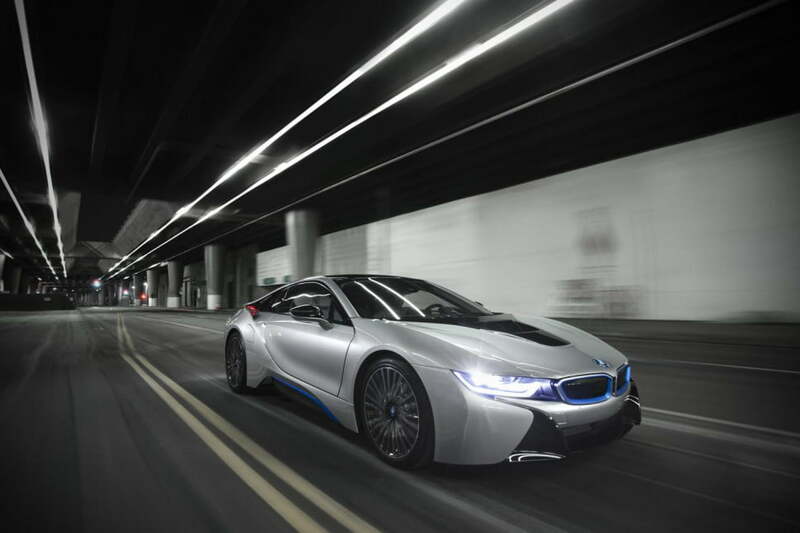 If it does indeed happen, the i8S may not be the last offspring to come from BMW’s ‘i’ family. As we reported last week, the German brand is reportedly planning a hydrogen-powered i5 with materials sourced from the Toyota Mirai. BMW is staying coy on details thus far, but the donor car’s fuel cell system generates 153 hp, enabling it to travel 300 miles on a single tank.